As described in my last post, I recently attended the 3rd annual BAFTSS conference at Manchester Metropolitan University (16th-18th April 2015). While my last post provided an overview of my experience at the conference, in this post I discuss my panel and presentation in more detail. ‘Adaptation and the Problems of Representation: Dead Female Bodies and Human Waste in The Bridge’ – Francisca Sánchez Ortiz (Manchester Metropolitan University). ‘Mediated Women in Post/Conflict Northern Ireland – Paula Blair (Newcastle University). ‘Hearing Her: Voice, Gender and Performing Surveillance Systems’ – Lorna Muir (University of Aberdeen). All four of us were concerned with the interrelations amongst body, voice and space in contemporary feminist contexts. The strength of the panel lay in its expansive and inclusive scope, encompassing visual media such as cinema, television and installations from a range of diverse contexts including contemporary Spain, the US-Mexico border, Post/Conflict Northern Ireland and contemporary Hollywood cinema. 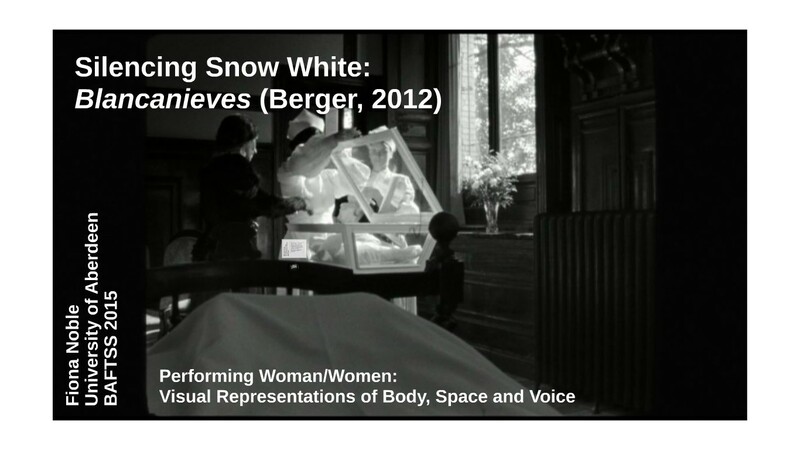 My presentation – ‘Silencing Snow White: Blancanieves (Berger, 2012)’ – launched our panel and focused, as the title suggests, on Pablo Berger’s black and white adaptation of the Snow White narrative, set in 1920s Spain. While I offer an overview of my presentation here, if interested you can view my accompanying Prezi here and listen to an early practice version of my paper here. An earlier response to the film can be found here. I began by discussing the manifold ways in which Blancanieves silences its eponymous protagonist: as a child in lidded glass crib at the beginning of the film (Figure 1) and as a young woman and a silent spectacle at the end of the film (Figure 2). As a means of analysing Snow White and her absent voice, I opened with a quotation from Mary Ann Doane on the transposition of the voice onto the body and intertitles in silent cinema and proposed to examine three aspects of Blancanieves: the body as silent spectacle, the intertitles in terms of who speaks and music in its relation to the maternal. My discussion of the body centred on my initial approach to the film as a potentially feminist rewriting of the Snow White narrative in Blancanieves. I considered the way in which the film dispenses with certain fairy-tale tropes which are difficult to reconcile with a feminist position, such as the Prince Charming character and the dismissal of the Snow White character as passive and maternal. By opting to have one of the dwarves, Rafa, save Blancanieves and to replace her as the dwarves’ caretaker with cross-dressing dwarf Josefa, the film enacts a feminist, perhaps even queer, rewriting of the Snow White tale. That said, the silencing of Snow White across manifold levels in the film tempers any feminist potential it might hold. Her formal silencing – in that this is a silent film – conjoins with her physical stifling in the film. 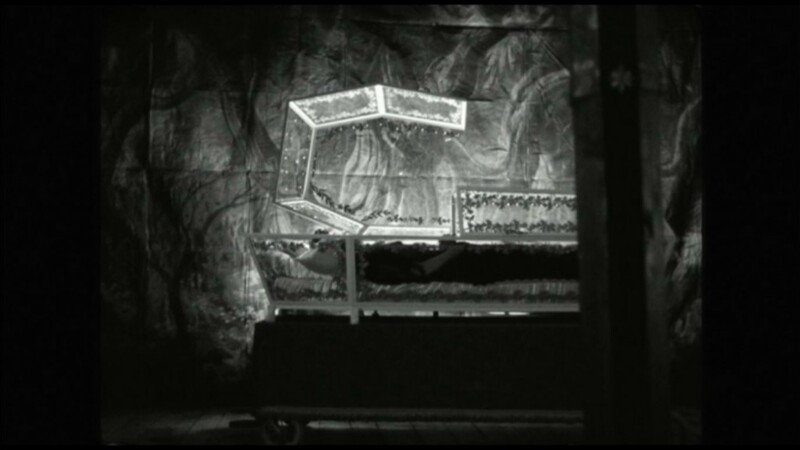 She is silenced both as an infant and as a young woman, contained within glass cribs and coffins as seen above, as well as throttled by her evil stepmother’s henchman, her breath literally squeezed from her throat. As a means of relating this to voice and cinema, I drew upon Kaja Silverman’s work in which she discusses the construction of the female subject as a body and champions the notion of the disembodied voice as a feminist strategy – a possibility that formally escapes the women in silent cinema. Building on this idea of the stifled female voice in silent cinema, I turned to the film’s intertitles. Various voices make themselves heard through the film’s intertitles, including those of the film’s third-person omniscient narrator, Blancanieves’ father, Blancanieves herself, her stepmother, the dwarves and Pepe, Blancanieves’ pet chicken. The voice missing from these intertitles is the voice of Snow White’s mother, which is of particular significance when considering theoretical interventions focused on voice and cinema. Such frameworks, featured in the work of Doane, Britta Sjorgen and Michel Chion, frequently draw on psychoanalysis and as a result draw heavily on the notion of the maternal voice as a means of conceptualising the spectator’s experience of cinematic sound. While the maternal voice is absent in terms of the intertitles, I argued that there is an interesting point of connection between voice and the maternal through the music in Blancanieves. The mother of the eponymous protagonist dies in the opening scenes. However, she posthumously reappears at other points in the film. Such appearances are connected to music. As an example, consider the scene in which a young Blancanieves sits beneath the table, sulking because her father has not attended her first communion. A flamenco rhythm begins and an image of a gramophone followed by a moving image of her mother dancing and singing appears superimposed on the tablecloth. I don’t know where you might be). The notion of searching for something and not being able to find it, of calling out for someone and not receiving a response chimes with the absence of the maternal voice within this film. In a later scene, Blancanieves performs to one of her mother’s records for her father, her image morphing into that of her mother during the performance indicating the connection between music, memory and the maternal in this film. Music in Blancanieves thus renders the maternal voice present, audible in a film which otherwise formally stifles not just female, but all vocal presences. But what’s even more striking about this is the fact that the voice we hear is not that of Inma Cuesta, the actress who plays Blancanieves’s mother. 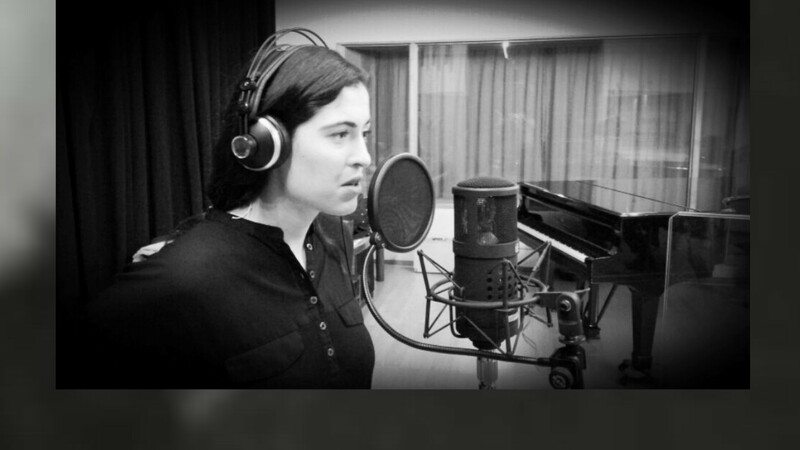 Rather, it is the voice of Catalan singer Sílvia Pérez Cruz (Figure 3). In other words, the maternal voice conceals another female voice that represents not just the repression of female voices, but also those of peripheral nationalities in the Spanish context. Relating the relationship between music and the maternal to theoretical explorations of voice and cinema, I drew once again upon Sjogren who describes ‘female voices-off’ as ‘expressly musical’ (65) and upon Chion who draws a connection between the recorded voice and death: ‘Ever since the telephone and gramophone made it possible to isolate voices from bodies, the voice naturally has reminded us of the voice of the dead’ (46). Given that Blancanieves’ mother dies at the start of the film, the film draws clear connections between music, the maternal voice and death. At this point in my presentation, I had rapidly ran out of time so had to come to a rather abrupt halt! I’m still thinking through the significance of voice in Blancanieves and hope to work further on this in the near future. Given that this is a developing area of interest for me, I would be especially keen to hear any feedback you might have so please do not hesitate to get in touch via Twitter (you’ll find me at @FionaFNoble) or via the comments function below. Many interesting observations here, but I’m not sure why they lead you to conclude that this aspect of the film “tempers any feminist potential it might hold.” It seems to me that Berger’s whole point is to bring into relief the feminine disempowerment and objectification that structures the Snow White story, and how the narrative logic of fairy tales more generally does not allow for feminine agency — which I would characterize as a distinctly feminist project. Hi there and thanks for reading my blog. It’s great to get some feedback and reader interaction. I like your point that in drawing attention to these aspects of the Snow White narrative, the film makes a feminist statement. I wrote this post a few years ago and have since read a lot more about the film, rewatched it several times and thought about it in more depth. It’s one of the case studies in a book I’m currently working on that deals with the politics of performance in contemporary Spanish cinema. I think what I find most disappointing about the film is that Blancanieves does not escape these structures, that the agency she has initially is ultimately quashed. I also find the objectification of the female body, the way in which she becomes solely a visual spectacle troubling, especially in the context of cinema. Finally, I am inclined to think that gender identity is less of a concern than national identity in this film. For me, Blancanieves symbolises the peripheral, non-centralised communities in Spain, forced to compete against the hegemony of Castilian Spanish identity and silenced under Franco.